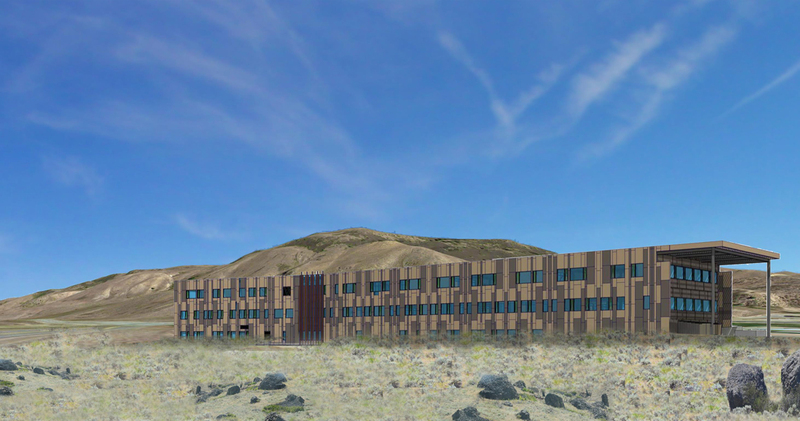 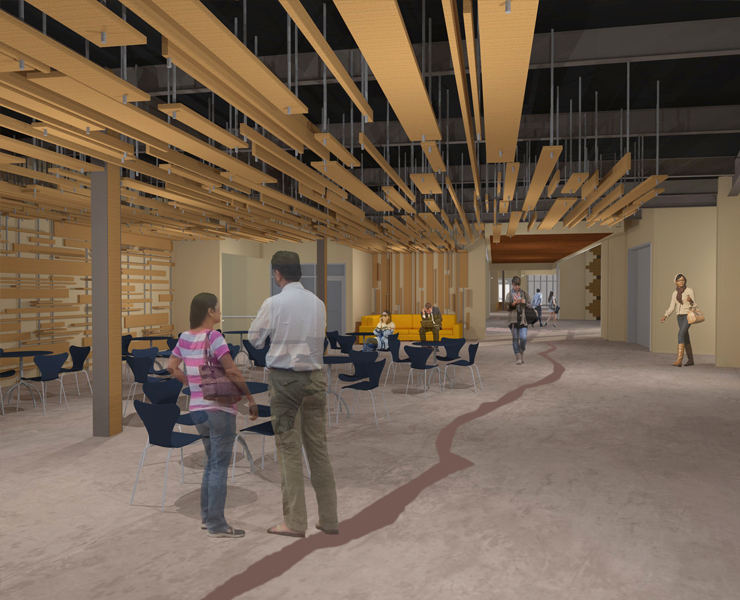 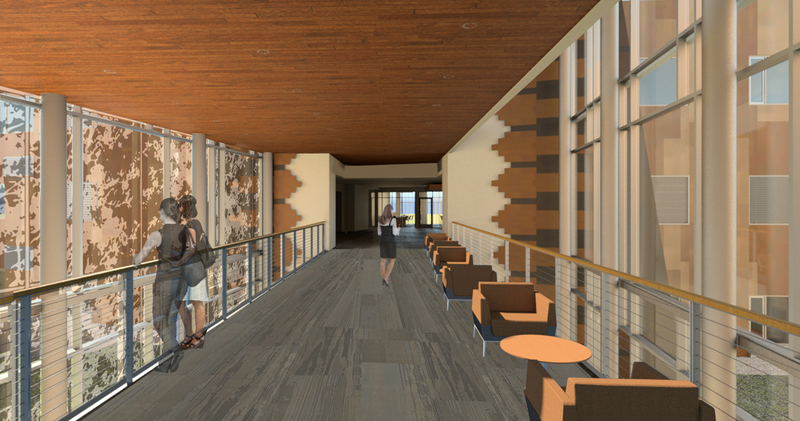 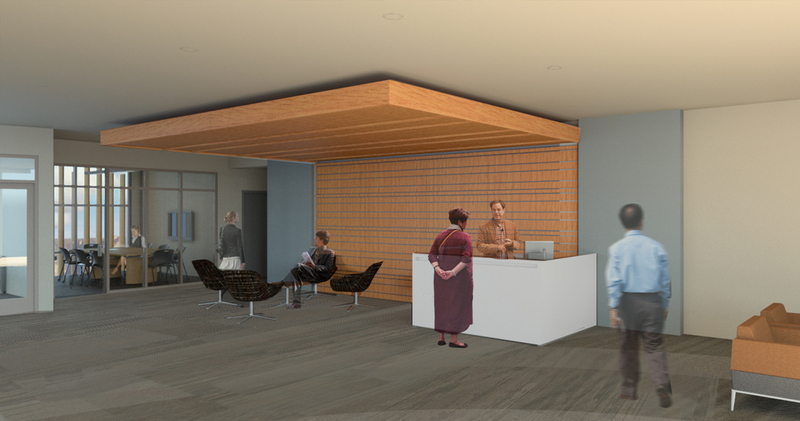 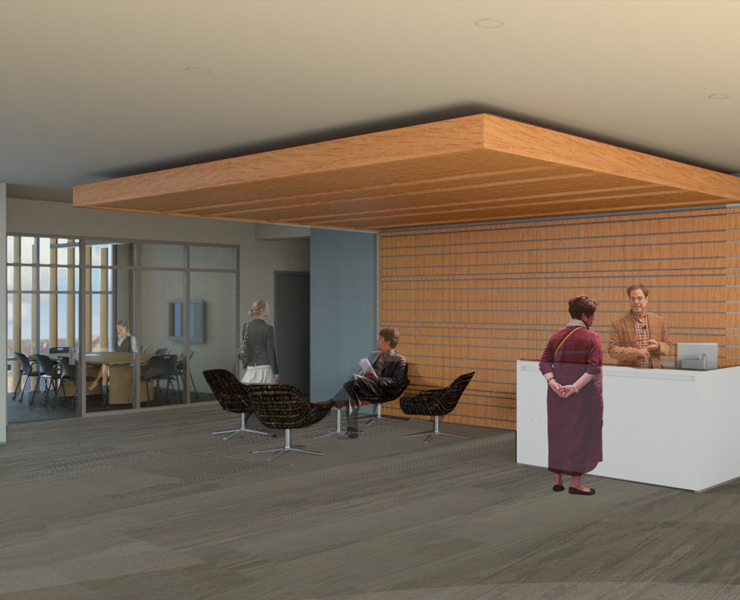 The new 170,000 sf Colville Tribal Center provides a 21st century civic center and professional office environment for the community of 12 confederated tribes of the Colville Reservation. 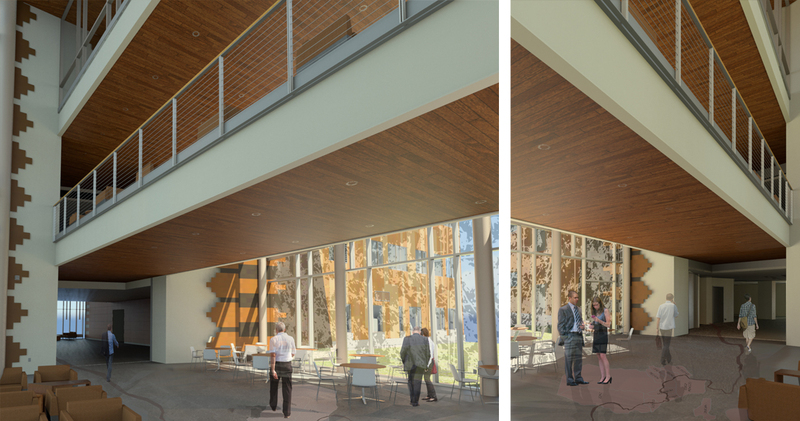 The design balances the aesthetics of tradition, culture, and a strong relationship to nature with those of progress and growth. 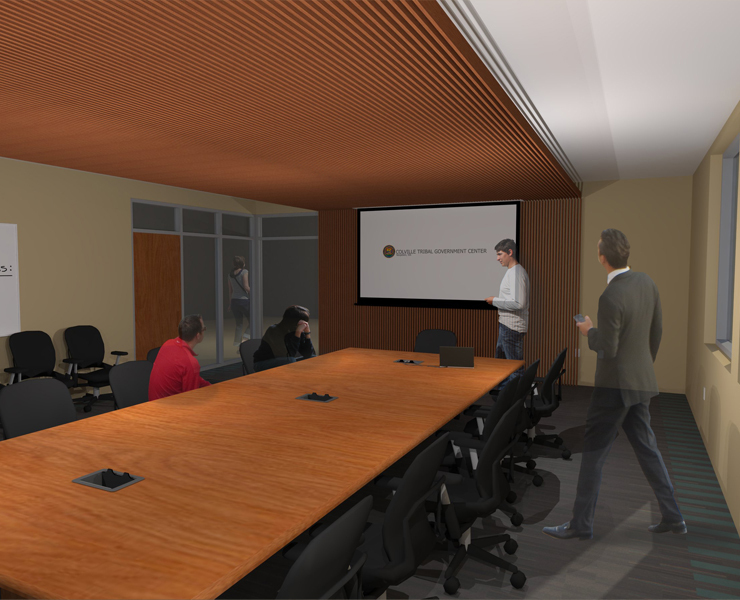 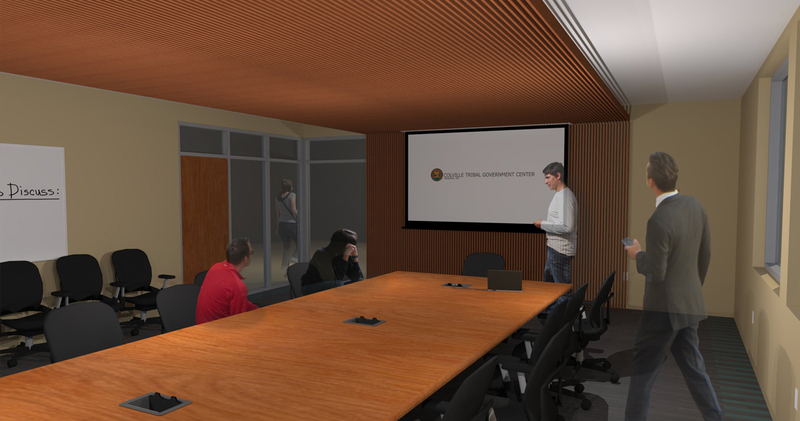 The center includes shared-use meeting rooms, multi-use event spaces, informal meeting places, integrated multi-media technology, a café, fitness facilities, indoor and outdoor spaces, support facilities, and storage. 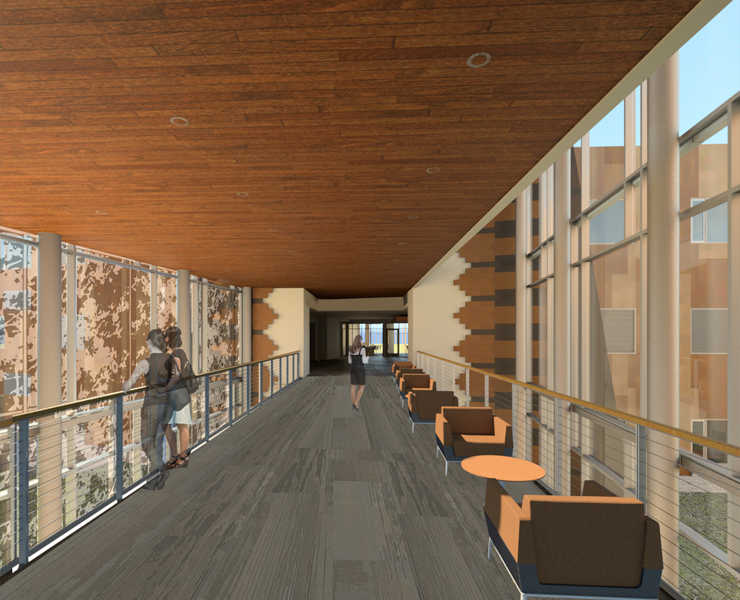 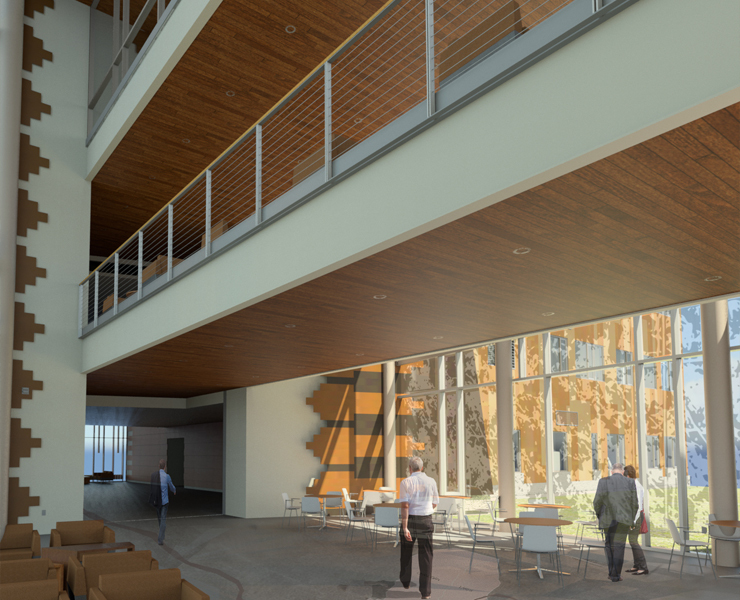 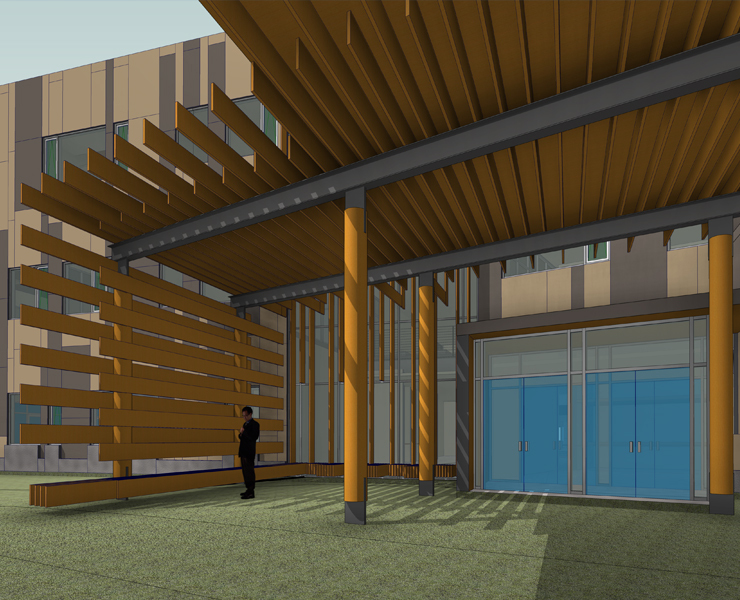 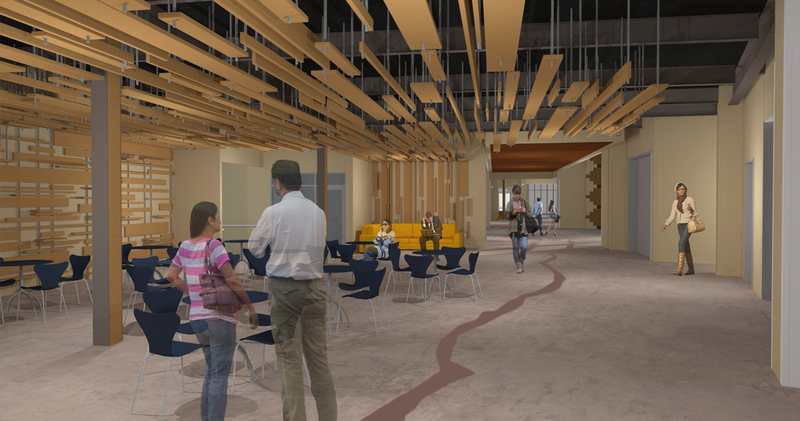 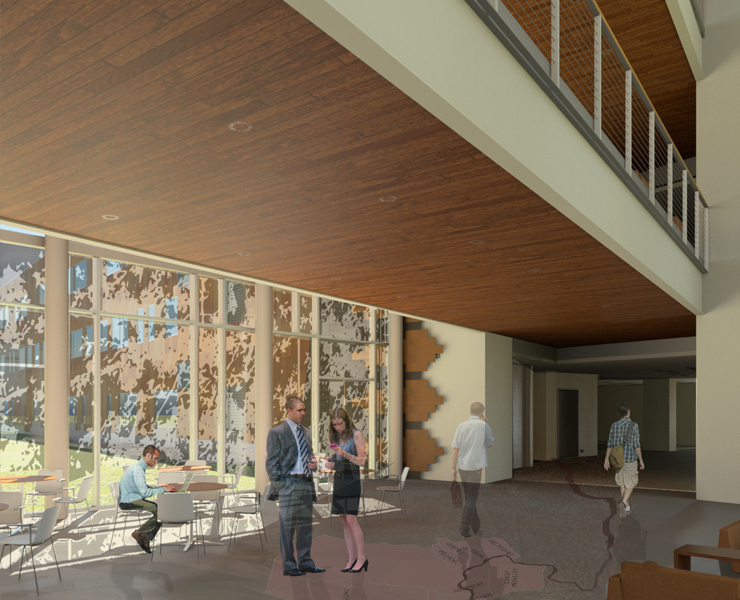 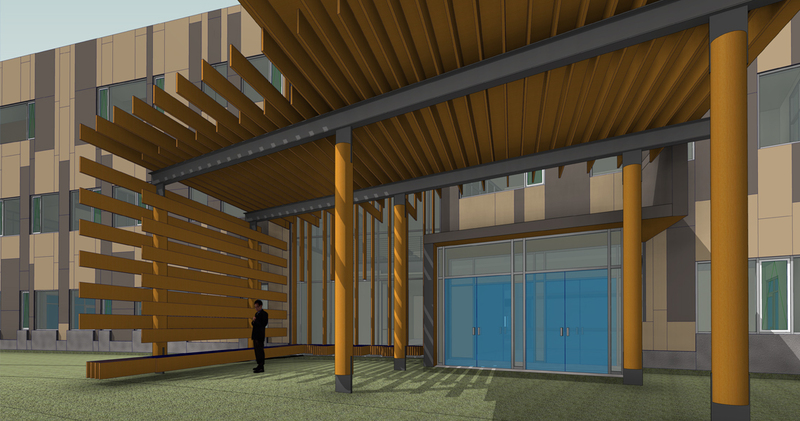 A transparent three-story “living room atrium” with a direct view to nearby Moses Mountain accommodates opportunities for connectivity, socialization and dining. 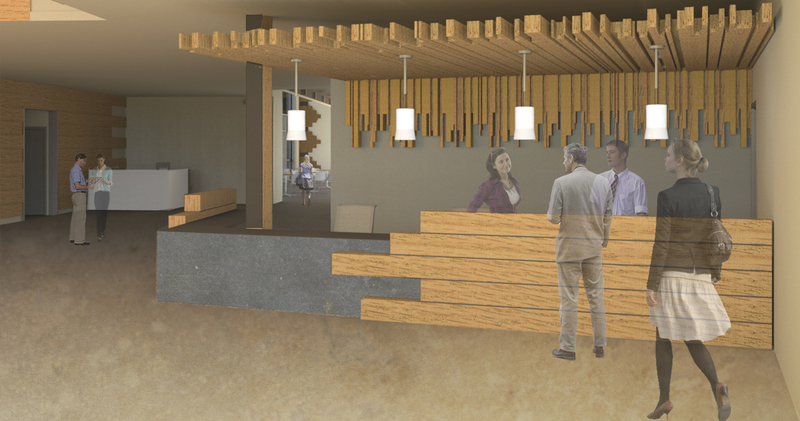 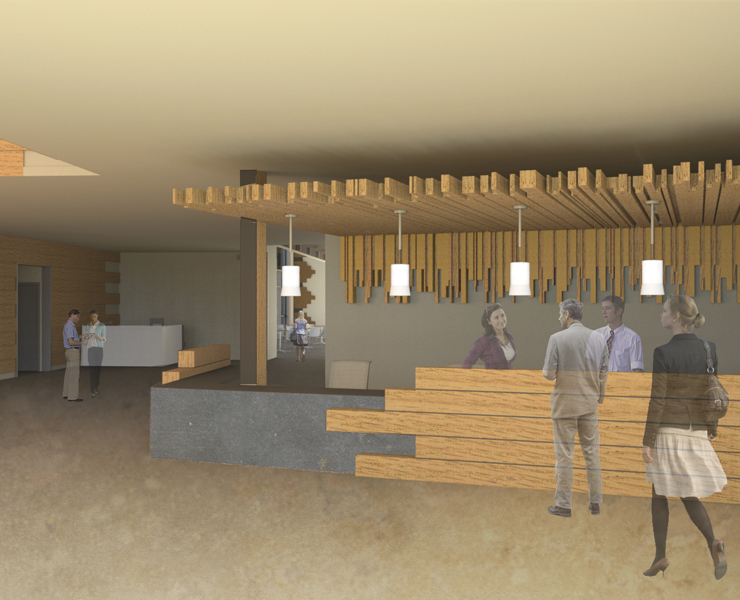 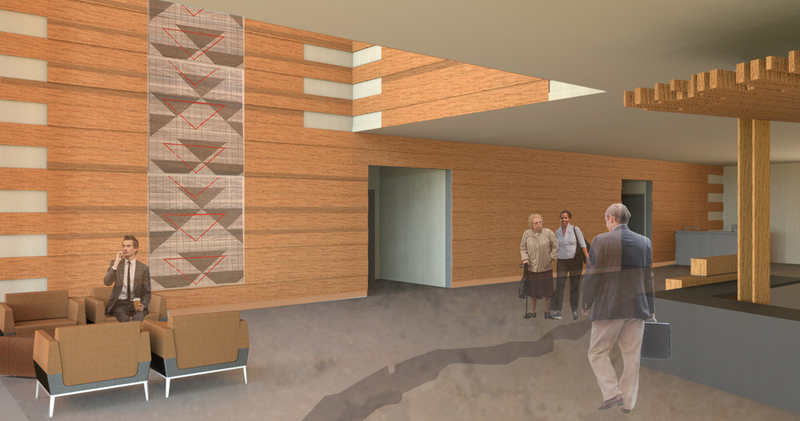 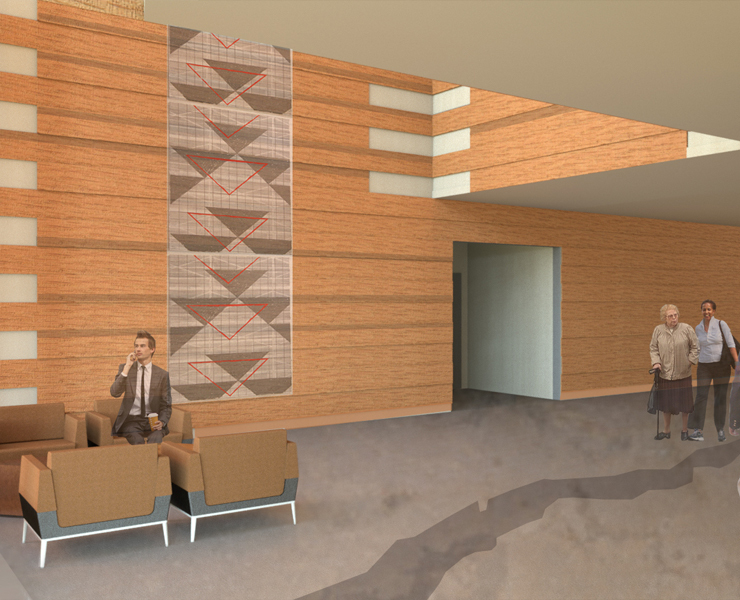 The atrium was designed with imagery, materials and iconography that speaks to the peoples and places of the tribes. 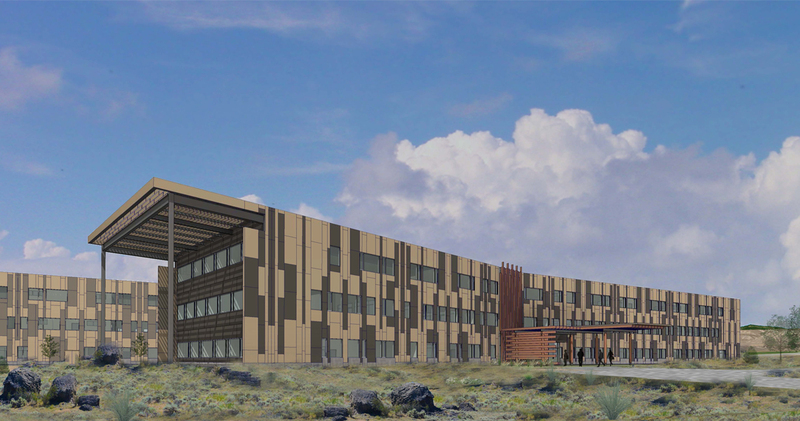 The exterior colored panels of the building abstract the design of the tribe’s basket weaving traditions. 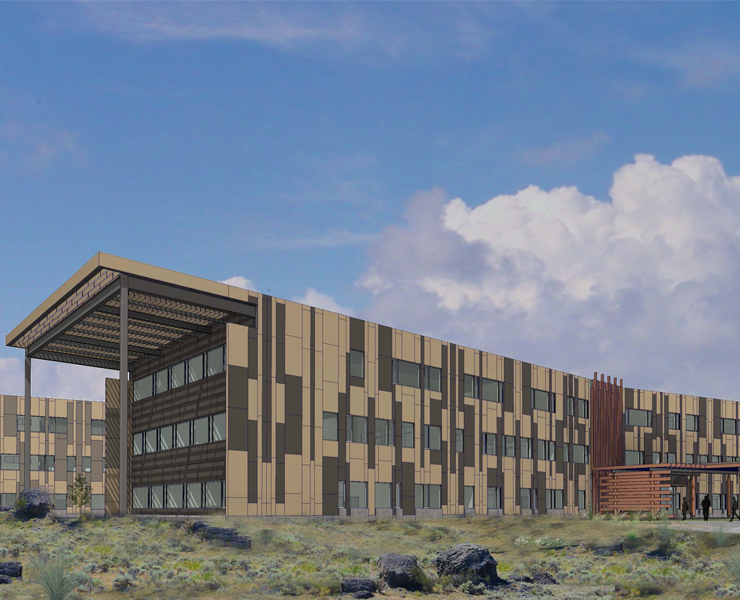 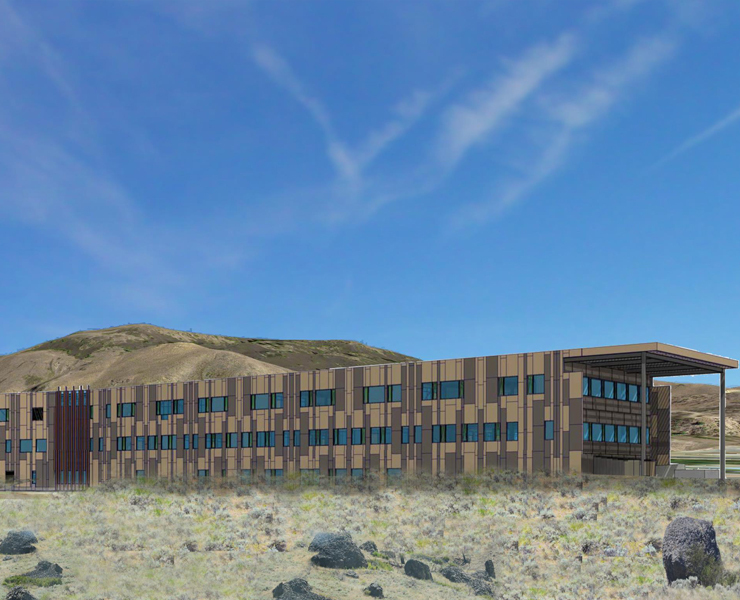 The Opsis and Architects West team worked collaboratively with the local community to create a visionary new precedent for tribal services.